In India, the food industry sector has emerged a high-growth and high-profit industry due to its immense potential for value addition, particularly within the food processing industry. Food delivery options can be through online and offline. In both the cases FSSAI Registration is mandatory. The online food business in India has exponential growth. Here, the organized food business is worth the US $48 billion, of which online food delivery valued at the US $15 billion. Online food delivery platforms like FoodPanda, Zomato, Swiggy, and UberEat are building scale through partnership; the organized food business has a vast potential and a promising future. Online food delivery startups in India mostly target busy Urban Indians, especially among working professionals. The food industry has been with full planning and excitement in launching the food tech startups. Many are trying to get a hold here while others are on the verge of shutting down because of numerous challenges. When running online food delivery startup, it is essential to tackle some of the significant problems whether it is directly or indirectly affect the whole business structure. The various food delivery models are experimented by Innovative minds, which bring innovation in the sector- production, distribution, and supply. The attention of both investors and consumers has gained by various ventures which have already established themselves in the industry. Also, there are ventures which are yet to grab the limelight. In this lucrative sector, businesses from various niches have experimented. Food standardization is a major challenge faced by Food delivery Business. Food Quality is the backbone of any food-related startup. The company must keep in mind the taste and the proportion of ingredients, etc. to maintain the food quality. The food delivery supplier should keep in mind that if the customers ordered the food, the food has to be warm until it reaches the customer’s place. And also maintaining Freshness of food during the delivery cycle is the most critical challenge of food delivery. To keep their customers happy and motivated the company must invest time, money and efforts so that the operations can run smoothly. 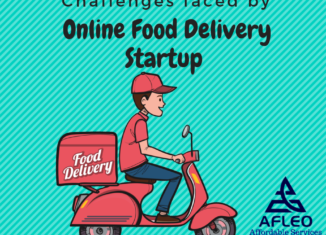 There is a large number of other competitors are engaged in this online food delivery services, setting up pricing is another significant challenges for startups. Though Coupons and Offers are a disadvantage for Food delivery companies but to attract customers, this thing plays a crucial role. Smaller players work on low margins and capital, and reducing prices by giving various offers and discounts make difficult for running their business; also, customers expect extra benefits while placing their orders such as – free delivery and COD Facilities. To seek Quick customer’s attentions Company, need to provide discounts and offers, the moment the company stops providing such offers, they shift towards other food delivery services. The company already works on low-profit margins but still offering discounts and coupons is tough, to grab the attention of the customers. Food is highly sensitive products and to maintain the logistics is the most challenging hurdle of online food delivery ventures. Customers expect timely delivery, and inefficient logistics can only disappoint them and make them lose trust in the services. Online food delivery services a large number of the workforce are engaged. For, food deliveries there must be proper planning, considering unforeseen risks in mind. During peak hours like 1 pm to 3 pm (lunch) and 9 pm to 11 pm (dinner), it becomes a difficult task to deliver food. Therefore, during peak hours the food delivery companies need some additional workforce to provide proper services. Hence, the workforce remains a big challenge for food tech startups. Hope this article was fruitful to you. If you have any query related above article feel free to contact us on Afleo.com. Here, these are some primary challenges faced by every startup especially in the starting stage. Those who can meet and solve these problems can survive in the market. Smaller and independent food delivery startups struggle to retain their position in the market. 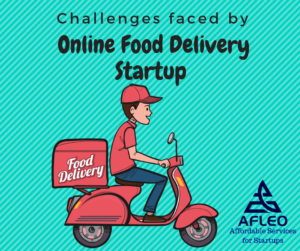 The future online food delivery services can grab the market only if they overcome these primary challenges and survive in the market.